Just the name “Kevlar” makes you think of bulletproof vests and gives you the feeling of invincibility. Technology has advanced so much in recent years that now we have canoes made straight out of Kevlar! A kevlar canoe looks fashionable and has immense durability. Its steel-like strength and endurance make it a superior choice for canoeing. With toughness comes rigidity, but Kevlar canoes are just as flexible as any other canoe. This is because the material Kevlar is surprisingly lightweight. With flexible control over the canoe, you can paddle over any type of water without having to worry about wear and tear. With a kevlar canoe you can feel invincibility easily, but this comes at a price. Kevlar is twenty times more expensive than traditional aluminum canoes and wooden canoes, but half as much as lighter. These canoes may look too expensive to you, but you can consider it as a one-time investment. Start saving and bring home a kevlar canoe to have unlimited moments of fun on the waters. Kevlar canoes usually require very little maintenance, but being a bit precautious does not hurt. In fact, it can actually save you a lot of money that you would otherwise have to spend on repairs and fixing damages instead of making the most of your watercraft. Do not weigh it down near ground level: Kevlar canoes are only strong when they are afloat on water. Only put weights on your canoe if you think it is floating on water. Near ground levels, these canoes are a bit fragile to hold weights. Do not forget to do parallel parking: Your canoe has to be moored so it does not accidentally bump into rocks. Even if it is a beach or open land, you should always moor your canoe in a parallel direction at the coastline. Take one foot out and then the other. If there are two people on the canoe, the front paddler should go out first and then the other paddler at the back. After mooring ensure that you are taking off weights from your canoe while it is still floating. Lift it up: Once your Kevlar canoe is unloaded, you should carefully lift it up over your head. Beware of the water and slippery surfaces while moving out of the water. It is good etiquette to park and keep your canoe away from the coast for the ease of other travelers. If you want to use your canoe again, throw it gently on water. You should do this without spillage into the canoe and not do it on land. 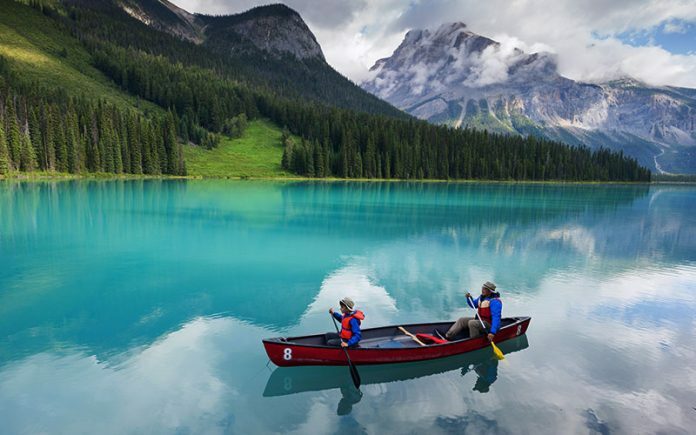 Start loading the canoe for your next adventure once it is completely afloat. Do not drag your canoe around: Dragging the canoe may cause abrasions and rough surfaces underneath. A good way to move your canoe across the land is using canoe carts. If you do not have one, you can simply ask your partner to carry it around with you. It is extremely lightweight so you do not need to worry about sore shoulders. Load gently over shallow rocky waters: Shallow waters may contain rocks underneath that can damage your smooth Kevlar material. You should store the canoe upside down: Store it in a place free from wind. Tie the canoe down and relax. Even after so much care, your canoe may not be rough and tough anymore like it used to be. Prolonged use might have caused damage and now you want it repaired. Since they are so expensive, buying a new one or replacing it with a kayak might not be possible for you. What you can do is repair a few minor damages yourself so you don’t have to spend money on servicing it. If there is a hole in the canoe, you can prefer sandblasting over that region. This operation does not create abrasions but ensures the surface is prepared for patching. You should sandblast both the inside and outside of the canoe around that damaged region, preferably one or two inches. Use epoxy on the sandblasted region and then cover that surface with glass cloth. The glass cloth should be soaked in a resin mix. Cover the area with a piece of clear plastic that is straightly stretched over. Seal the plastic with masking tape and ensure there are no trapped air bubbles inside. You should wait for one day for the epoxy to fix well. Now sandblast to get it smooth. Do not use gel coat for finishing, rather use paint. For the inside of the canoe you should follow the same steps, but instead of glass cloth you should use kevlar cloth. 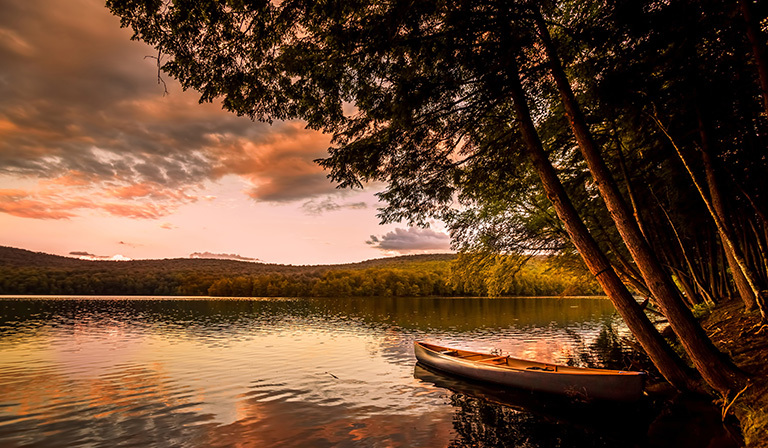 If the canoe is damaged to a great extent, such as large splits or wrecks, it is best to let the professionals handle it. Buying Kevlar might not be your cup of tea, so you could try canoes based on other materials and composites. Aluminum and wooden canoes are the most affordable canoes out there. Knowing more about them will you help you decide what canoe you want. Aluminum canoes started off as canoes used in war tactics during the end of World War II. Although they are not as widespread as fiberglass canoes now, they are still around. Aluminum canoes are affordable, provides enough strength and are quite light. They are also unaffected by harsh weather conditions. Dragging aluminum canoes around does not create abrasion marks, unlike Kevlar and other canoes. So, you can take them to any canoeing spots in the USA. However, they may have dents and need repairs more often. Aluminum canoes may also get stuck to objects under water. Wooden canoes have a much longer and ancient history though. Many Hawaiians and Polynesians believe in legends involving how wooden canoes were used as offerings to gods. If you are into aesthetics, the wooden canoe is better for you because you get to carve and craft it however you want. These canoes also have proper finishing details, such as gunwales and deck plates. Wooden canoes are definitely the more eco-friendly choice. Canoes have histories that go back to thousands of years. 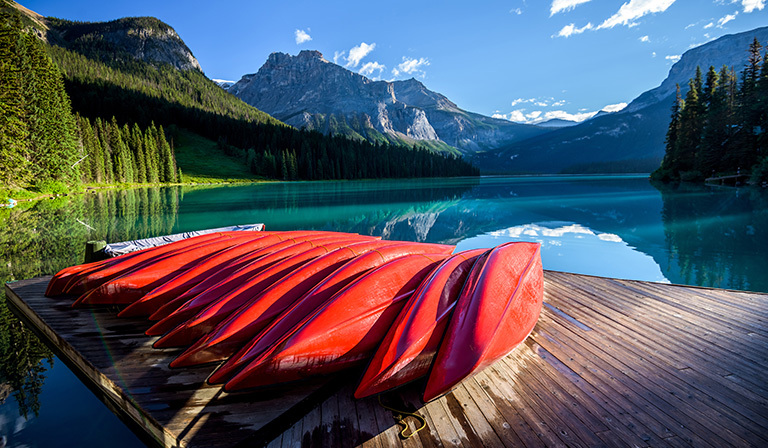 Unlike other sports and transport modes, canoes have survived the test of time due to their sleek and streamlined design, ease of paddling, and portability. 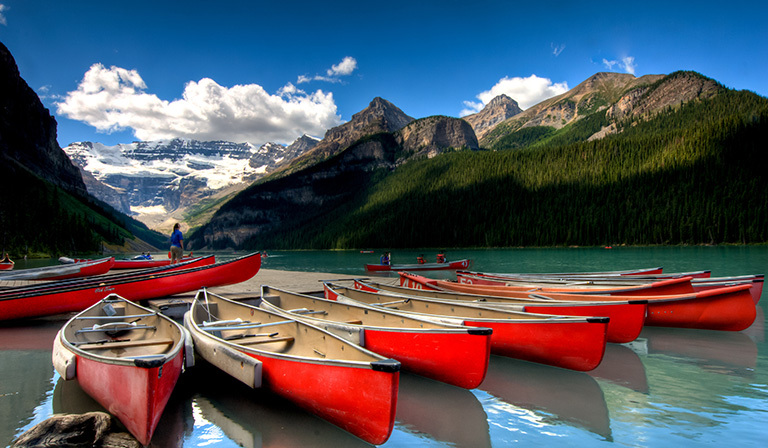 With technological improvements, there are now unlimited varieties of canoes to choose from. It really depends on your needs. If you are the constant adventurer type, you will need a very durable canoe that can withstand all conditions (including bullets flying around!). Kevlar is the right choice in this case. For small-scale recreational events, traditions, and transport, wooden canoes are the most reliable ones. Aluminum canoes are not as aesthetic, but are affordable and resilient. The choice is ultimately yours.